Dutch centre-back Philippe Sandler has signed for Manchester City from Eredevise side PEC Zwolle. Reports in the Netherlands said City agreed a deal for the 21-year-old worth in the region of £2.6m with PEC Zwolle in January - a club record sale for the Dutch club. The Dutch Under-20 international, who can also play in defensive midfield, joined Zwolle from the Ajax academy in the summer of 2016. Sandler, speaking in March, appeared to confirm his "fairy tale" switch to the Etihad. He said: "I heard that scouts from Manchester City were watching me, but you do not expect as a player to go from PEC Zwolle to City . "I thought initially that they were keeping tabs on me and did not expect them to approach me or PEC Zwolle during the winter break to transfer to the club. "City scouts came to Amsterdam for talks, and they showed how they go about their business and I was very impressed with the plans that they have for me. 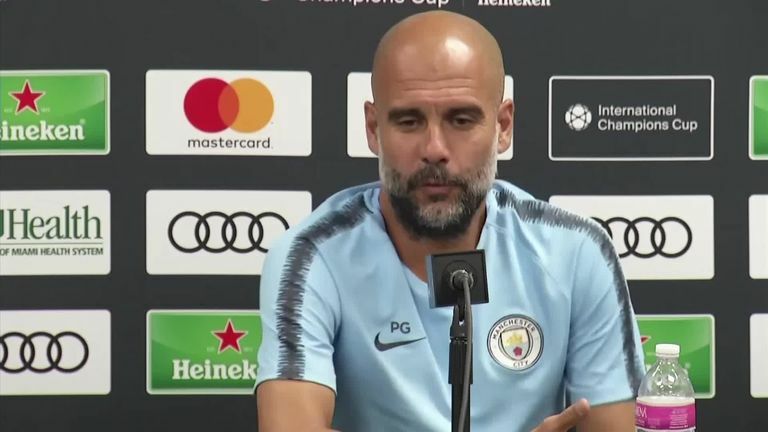 "The best manager in the world, Pep Guardiola, is currently in charge there, and he can teach me a lot, and also the style in which they play football attracts me a lot. "I watch a lot of football and City are in great form this season, blowing teams away with great football in the Premier League and the Champions League. "I enjoy watching them, and not just because I will transfer to the club this summer. Although I do look forward to facing Sergio Aguero on the training ground."